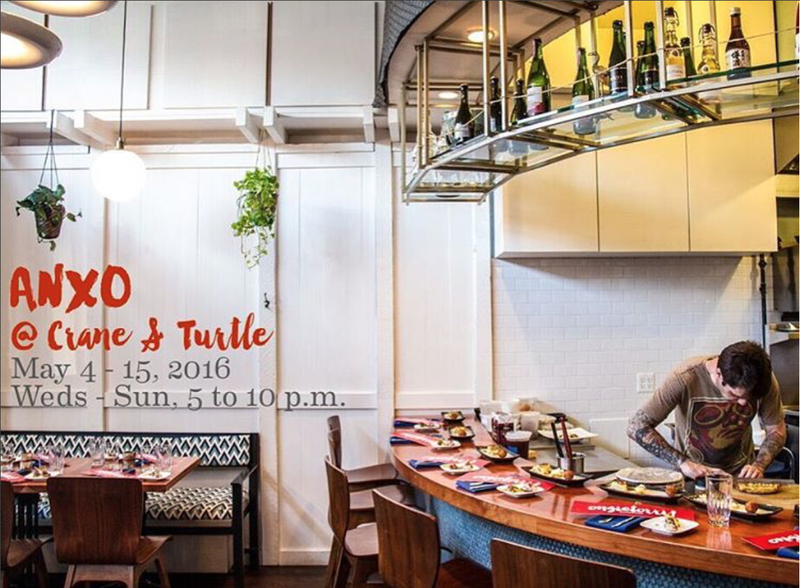 This sounds awesome -- Bar Otsukare, the Japanese whiskey pop-up from local cocktail experts Eddie Kim and Jesse Selvagn, is hosting a sake-focused pop-up this weekend at Crane & Turtle on Upshur. They're pouring a number of nama sakes, the first sakes made in Japan each spring. The event is called Sake Akachōchin, the word for the red lanterns outside bars in Japan. The event will also feature Japanese beers, cheese "bento" boxes, Japanese pickles and shochu, plus DJs on each night. Saturday's music is by Eau Claire (who is awesome) and DJ Brian Billion, and Sunday is DJ Ayescold and DJ CYD. The pop-up is part of Crane & Turtle's Passion Project Pop-up Week, where staff host pop-ups in the restaurant on topics they're passionate about. As you may recall, Crane & Turtle closed last week, but the Room 11 folks still own the space. Bar Otsukare co-organizer Eddie told me they plan to host more events in the future too. 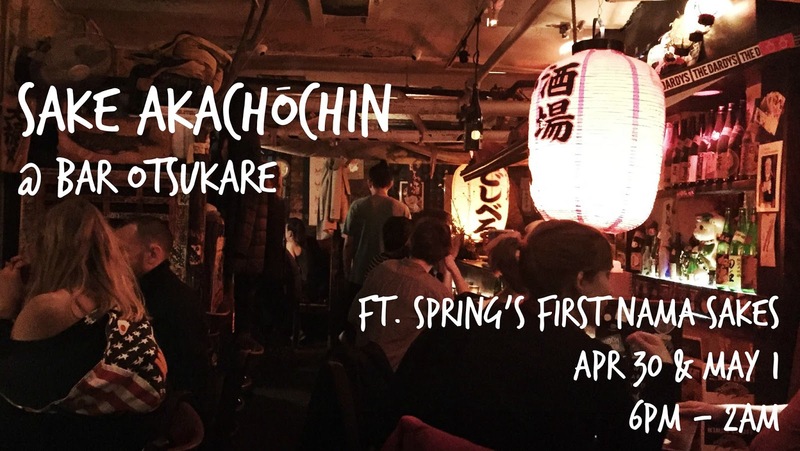 Come celebrate the return of Spring and Bar Otsukare with a night of nama sakes -- Japan’s first sakes of spring -- art, and music to cap off Crane & Turtle’s Passion Project Pop-up Week. Fresh, lively, vivacious, they’re as close as you can get from drinking straight from the tanks. In addition to the 25+ varieties of nama (unpasteurized) sakes that will be available by the glass, shochu and beer will be available upon request. There will be food offerings as well in the form of cheese bento boxes, curated with the help of cheesemonger Angelica Ames, and served with Japanese pickles and accoutrements to taste alongside the sakes. I've written about Bar Otsukare before a few times, they've done some neat events at Crane & Turtle and elsewhere. Definitely worth a visit. 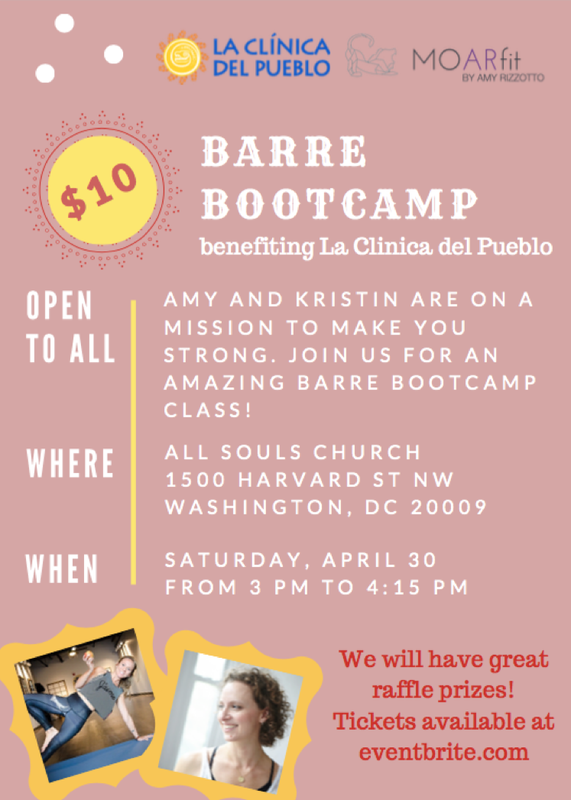 La Clinica del Pueblo, a non-profit organization that provides healthcare and social services to immigrants and Latinos in the DC area, is hosting a Barre Bootcamp this weekend as a fundraiser. It's a cool opportunity to get some exercise and help a local organization. Here's more info from them. The class is $10, which goes to La Clinica. Barre classes include components of pilates, yoga, and ballet. The bootcamp activities will make you sweat! Join us. We will have great rafle prizes! Event details are here and tickets are here. This is pretty neat: the other day I saw a new mural for Park View on the former Murry's Grocery building at Georgia and Morton. 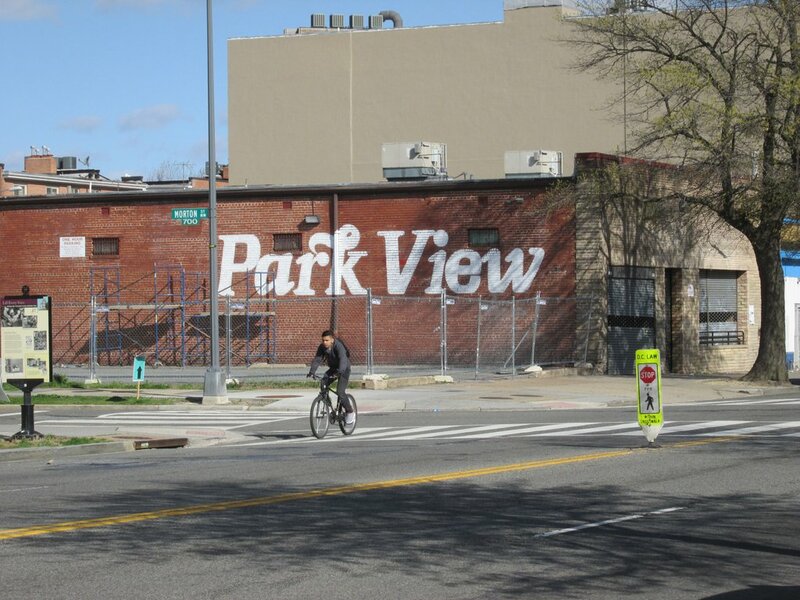 The mural, by Victory Dance Creative, is simple but beautiful script of the neighborhood name. Victory Dance does a lot of interesting stuff around the area, including cool neighborhood posters which were on sale at Columbia Heights Day. In any case, it's awesome. Top photo from Kent Boese's Twitter, bottom from me, featuring my buddy hamming it up. UPDATE: Make sure to check this site first. I went to the Fourth District Substation and the lady said they rotate which stations take the drugs on which weeks. If you're like me, you probably have a few expired prescriptions laying around -- maybe antibiotics or other things that you don't need anymore. However, you shouldn't just throw them away or flush them down the drain, they can damage the water supply and and plants and animals that depend on that (including us!) Or worse yet, someone could get a hold of them. There are also other sites around the area you can find here. The third annual Funk Parade is coming in a few weeks: Saturday, May 7th on U Street. The event, which started as a Kickstarter three years ago, features a fair with vendors, food, music and more, a really fun participatory parade, and a music festival around town in the evening. Their website, Facebook and Facebook invite don't have a ton of details on what will be there exactly or when, but previous years there were beer gardens, lots of vendors selling crafts, food and more, performances by all kinds of artists, lots of freebies, politicians, and bands all over the place. It was really fun. I would assume this year will be similar. The "day fair" where a lot of that will take place is noon-7pm on U Street, the parade itself is 2-5pm, and the music festival is 7-10 pm. In previous years, the music festival was in lots of venues around the area, I expect it will be the same way this year. I'll update when I hear more info -- but mark your calendars! Local arts space Bloombars will be hosting a tribute event for Prince tonight, from 8pm to 1:30 am. So far there are nine performers for the night, and they're looking for more musicians and artists to perform. If you'd like to help out, email john@bloombars.com. There's already almost 400 people interested on the invite and another 100 who say they're attending, so it sounds like it will be big. 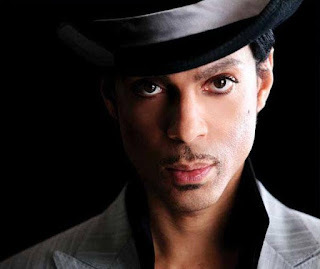 And given the range of Prince's music, it sounds like it will be a lot of fun, too. 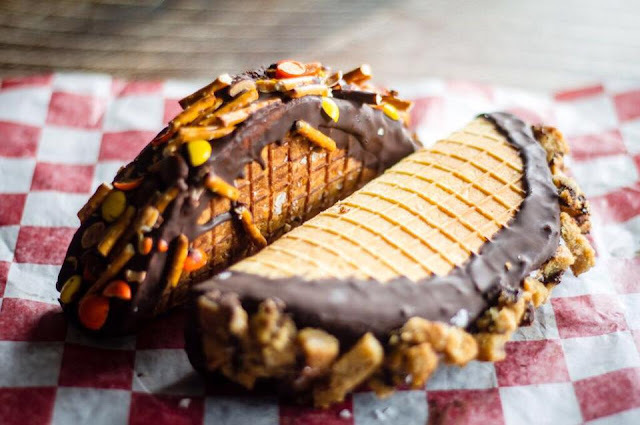 Bloombars is at 3222 11th Street NW, next to Wonderland and Bad Saint. Here's a nice way to give to a great local organization, the District Alliance for Safe Housing, a nonprofit that helps survivors of domestic and sexual violence. 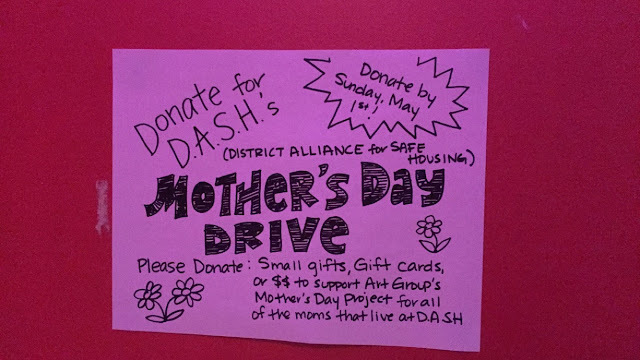 The Red Derby at 14th and Quincy has sponsored a lot of fundraisers and drives, and this time around they're collecting items and donations to help the moms at DASH. You can donate small gifts, gift cards, or money at the Derby until May 1. Stop by, have some drinks and help out! Last December, neighborhood nonprofit Georgia Avenue Thrive put on an awesome Winter Fest with local vendors, food, music, arts and a lot more, drawing 1,200 attendees to the former Murry's Grocery space. 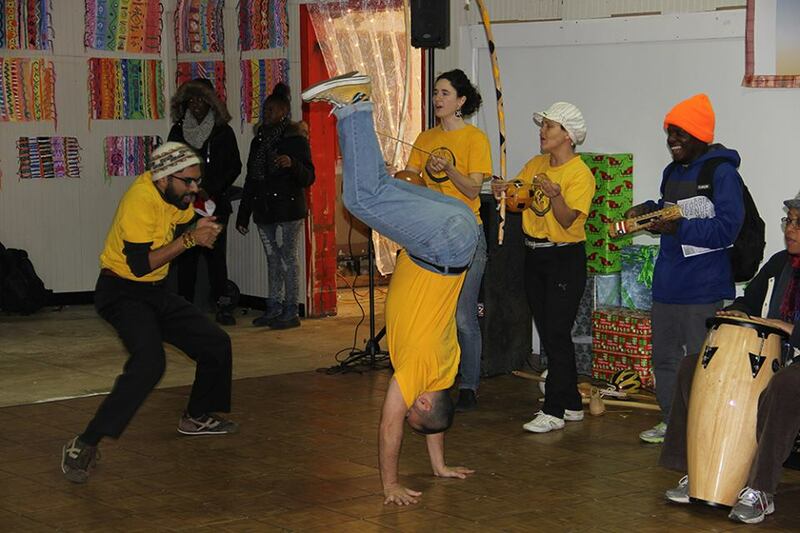 The event went really well, and now they're putting together a Summer Fest -- and you can help! They're hosting a planning meeting Monday, April 25th and 7 pm at Walls of Books, 3325 Georgia Avenue next to the Post Office. 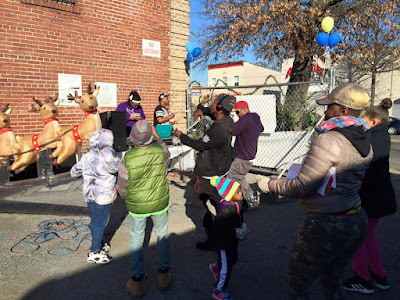 The group, recently renamed from the Georgia Avenue/Lamont Street Public Safety Task Force is getting active in the neighborhood, planning events, working with local businesses, organizing beautification like cleanups and planting trees and flowers, and working with local residents. 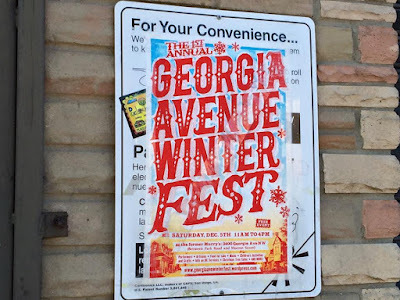 Here's more on the event and about the group itself and a few photos from the Georgia Avenue Winter Fest. 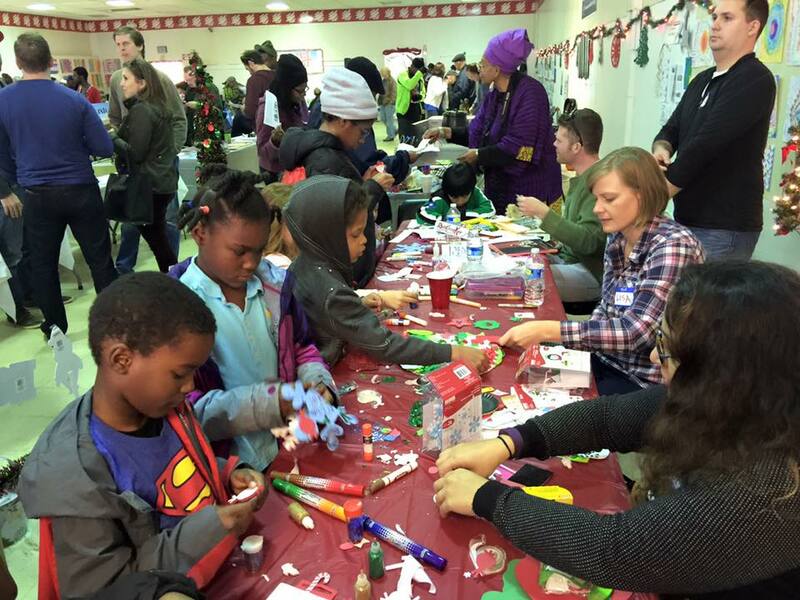 After a successful Georgia Ave Winter Fest in December 2015 that drew dozens of local vendors, performers, service provides and over 1200 attendees, Georgia Avenue Thrive will host the Georgia Ave Summer Fest on July 23, 2016. This family-friendly event will include local performers, vendors, city and NGO services, and kids activities. Support local businesses, artists, performers, and makers by highlighting their good work while providing a fun and direct connection between them and the neighbors and visitors of lower Georgia Avenue. Ensure members of the lower Georgia Avenue community are aware of and can access relevant city and NGO services. Create a vibrant and beautiful space for all residents, businesses and visitors of lower Georgia Avenue to connect, have fun, and support each other. We need help from people like you to make this event a success. If you'd like help plan the Georgia Avenue Summer Fest, join us for our first planning meeting on Monday, April 25th at 7pm at Walls of Books (3325 Georgia Avenue NW). Placemaking activities, which rely on community assets, inspiration and potential to use public and vacant spaces to promote community engagement, happiness, and well-being. 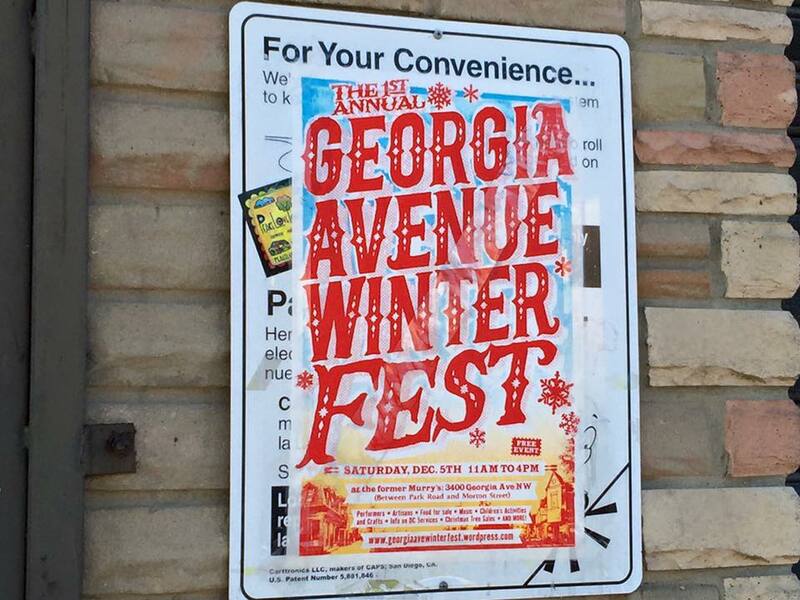 Most recently the Placemaking Committee, with the support of numerous other individuals and organizations, organized the Georgia Avenue Winter Festival. 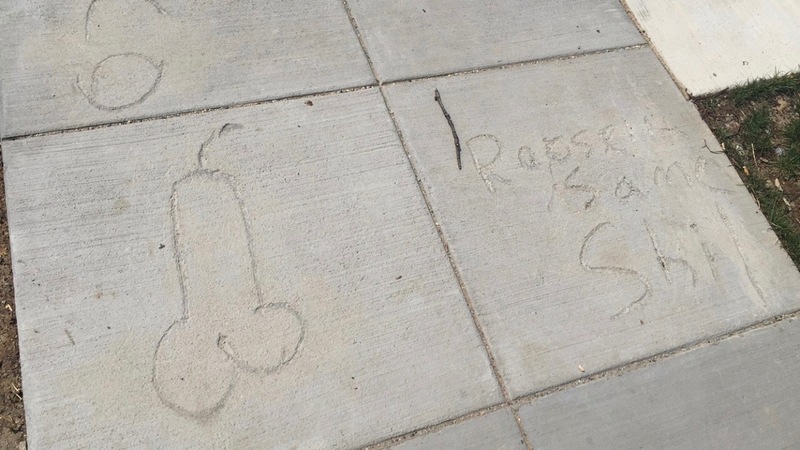 Beautification efforts to create inspiring public spaces. These efforts include monthly clean-ups (the first Saturday morning of each month), support to local businesses for graffiti removal; tree and flower planting, and public art projects. Family and Community Services, in partnership with the non-profit Collaborative Solutions for Communities, to ensure residents and business owners are aware of and can access relevant government and NGO services. Georgia Avenue Thrive also continues to liaise with the police department and other city officials on issues of public safety along lower Georgia Avenue. This is an awesome idea: given the large number of bike commuters and bike riders in general in the city, DC Government's Department of General Services has started to install self-service bike repair stations around town. Two of them are in our area: at the Banneker Rec Center and 2700 Georgia Avenue NW and at the Reeves Center at 14th and U. The eight stations include an air pump and eight retractable tools. The city affirms their goal is not to replace bike shops but to make it easy for riders to do quick fixes during their trips. 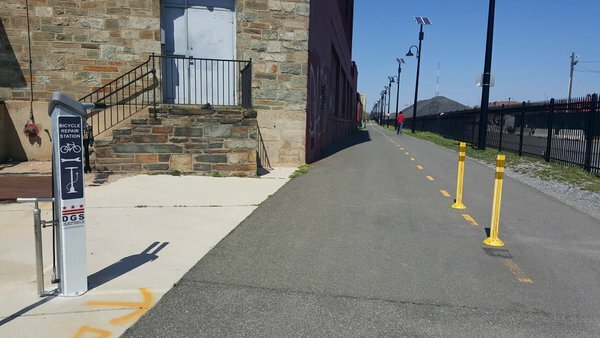 Nice to see the city becoming more bike-friendly and, dare I say it, even innovative! The Department of General Service’s Sustainability and Energy division is making sure that District bikers have access to all the tools needed to make their rides trouble-free. “We have purchased and assembled eight bike repair stations,” and anticipate they will serve as a great tool for quick bike fixes for the city’s many bike riders and commuters,” said Sustainability + Energy Associate Director Mark Chambers. “These stations play an important role in highlighting DGS’ support for and commitment to the creation of a highly sustainable district, especially as it relates to multimodal transit, “ he added. The bike stations are equipped with an air pump and eight retractable tools. The Sustainability + Energy team did thorough research about the locations where the stations would be best used and are most needed, consulting with many experts on this topic. As a result, the team has coordinated the installation of the first eight stations at: Banneker Recreation Center, Takoma Aquatic Center, Rosedale Recreation Center, Francis Gregory Library, Reeves Center, Tenley Friendship Neighborhood Library, Penn Center and the Department of Employment Services, with the installation of many more in the near future. The stations are not intended to replace the function of bike shops, but rather work in conjunction to provide easily accessible tools for quick fixes in areas that may not be close to many bike shops or areas that have yet to develop a strong biking support structure. In the past week since being installed, DGS has already received positive feedback on the stations, observing that they are already getting good use and having received requests to install more. “If people feel like their environment supports their desire to bike, they are more likely to do so; and that’s a win for our residents and for the District,” commented DGS Director Christopher Weaver. Room 11 and their in-house pastry shop Paisley Fig are back with another doobie-themed April 20 menu: this time with "taco chocos" (a chocolate taco,) a cheesecake taco choco, cupcakes with marijuana-themed toppers for $4.20 (see below), stuffed pretzels and "bizones" --biscuit calzones. It all sounds pretty awesome, and like something you could enjoy with or without the aid of somewhat-legal-in-DC herbal supplements. These are only available today, so stop by soon or email lizzy@room11dc.com to reserve your own. Some good news from the sadly closed Crane & Turtle on Upshur: Anxo, the cider bar and Basque restaurant that's had pop-ups around the area (like at Colony Club) is beginning a 10-day pop-up at the Crane & Turtle space starting May 4. They'll serve various ciders and Basque snacks, including various pintxos, or the Basque version of tapas. They'll include skewers, cod fritters, and stuffed squid with ink sauce, sherry vinegar and caramelized onions. Dishes will range from $5-$15. Sounds pretty delicious. As well as cider, they'll also have wines from the Basque region and a rotating drink list. The Post has the full story. I'm glad to see the very nice Crane & Turtle space get some use, and I hope there are more events like this, or a new spot! The Anxo folks are opening a proper restaurant at 300 Florida Ave NW sometime this summer. What: ANXO Cidery & Pinxtos bar is thrilled to take over Petworth's Crane & Turtle for a ten night pintxos residency. Led by Executive Chef Alex Vallcorba, the à la carte dinner service will feature pintxos of varying sizes, including dishes like Stuffed Squid on a bed of ink sauce with sherry vinegar caramelized onions, and Cod Fritters with Vizcaína sauce. From Chef Vallcorba: I'm from Spain and I grew up with this food. I love the simplicity of the plating-- three or four ingredients in one dish that speaks for itself. It's about spending time taking care of the ingredients. I want people to have an experience. Even if you haven't been to Basque Country or Spain you should feel like these flavors are true to that experience. For me, we're family. The restaurant is family. When I was growing up my father didn't let me leave the table until we finished our meal and also talked. It's about bringing people together. Yes, the cider and food are important. But I want people to come to ANXO, or Crane & Turtle, and give them that experience so that they want to come back. They're in a restaurant, but they're also in our home. In addition to pintxos, the pop-up's beverage menu will include an array of Basque cider, wine, cocktails and digestifs rotating frequently (sometimes daily) from Beverage Director Tim Prendergast. The evolving selection will reflect the vast geographical representation of ANXO's cider list. This event, along with the 5/22 edition of Txotx at Colony Club, will be the last ANXO pop-ups ahead of our opening at 300 Florida Ave NW. We are already actively hiring in anticipation. Reservations: Reservations can be made Wednesday through Friday from noon to 3:00pm, effective immediately. Guests should call (202) 810-ANXO to make a reservation during those times. Reservations are for dining room seats, not the kitchen counter or patio (open weather permitting), which will be available to walk-up diners. Details: Pinxtos will range from $5 to $15. This event is family friendly but ID must be present to purchase alcohol. 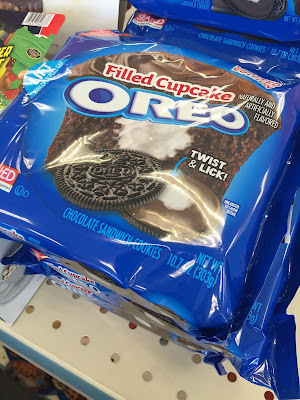 Not exactly earth-shattering news, but if you need to get some sweets, or try something that might be awesome (or gross,) check out the CVS at Georgia and New Hampshire, I spotted a wide variety of new Oreos: a filled cupcake kind, red velvet (isn't that just chocolate? 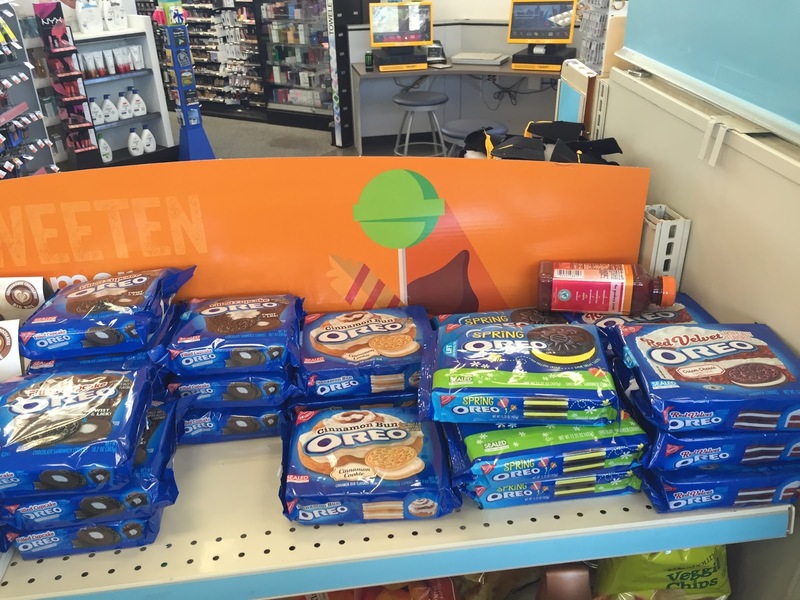 ), cinnamon bun and "spring" ones, which apparently taste like normal Oreos but are yellow. The cinnamon bun ones sound gross to me, but are apparently they are quite tasty. Smucker Farms, the farm store at 14th and W, has just recently started serving breakfast and lunch, including the very popular Bullfrog Bagels, as well as Compass Coffee, egg sandwiches, and side salads and soups to go. 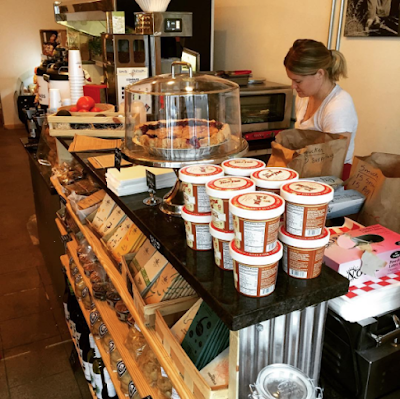 The spot, at 2118 14th Street NW, carries lots of items direct from farms in Lancaster County, Pennsylvania, the heart of Amish country, as well as other farms in the area. 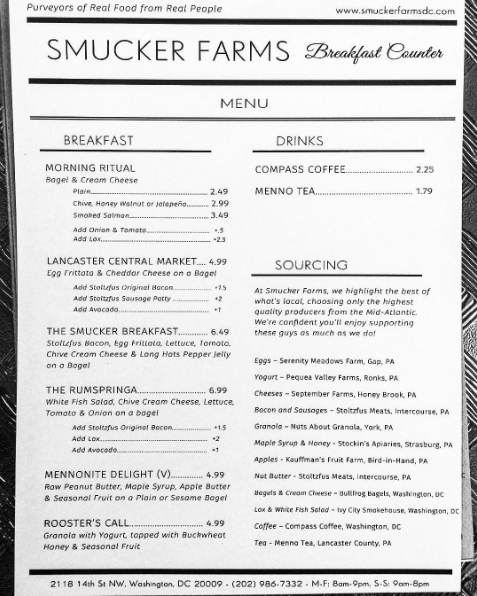 Here's the full breakfast menu below, including egg frittatas on bagels and lots more. Sounds pretty delicious. Their Instagram said they'll release their lunch menu tomorrow. 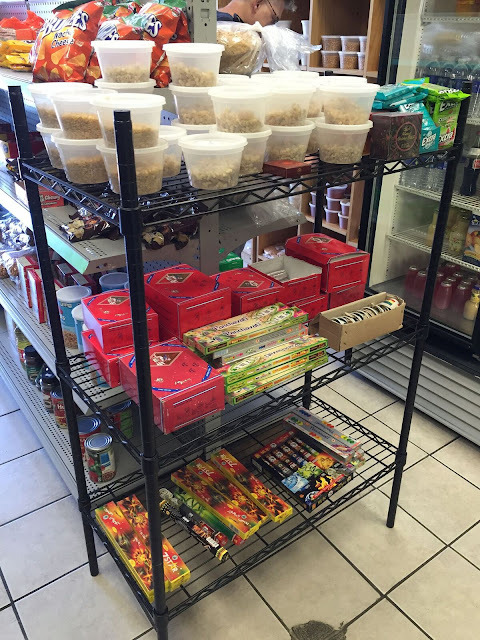 Aside from those items, they have a lot of other great groceries -- produce, dairy, drinks, snacks, pasta and a lot more. It's a little more pricey than a regular grocery store, but you're getting fresh, handmade items and high quality stuff. The other day I was walking down Georgia Avenue and stumbled upon Gojo International Market -- a convenience store with an Ethiopian bent. They have a lot of interesting things, from your usual snacks and drinks to lots of Ethiopian food, coffee, snacks, hookah supplies, incense (including frankincense!) and even cups and coffee pots. 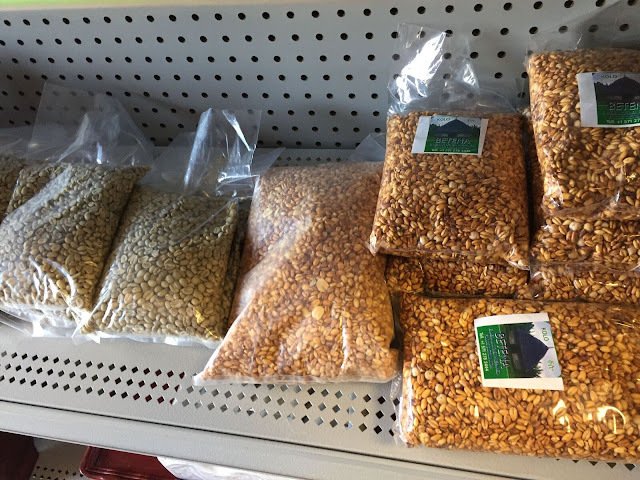 Among other things the nice lady working there pointed out, they have unroasted coffee beans, kolo, a roasted grain snack mix that's very popular in the country, big bags of injera, the spongy Ethiopian bread, and lots of dried grains, lentils and other Ethiopian staples. They also had neat little coffee cups with the flag on them and other cooking and coffee making supplies. Pretty neat little shop, and with a visit! I was heading somewhere but I'm definitely going to try the kolo next time. 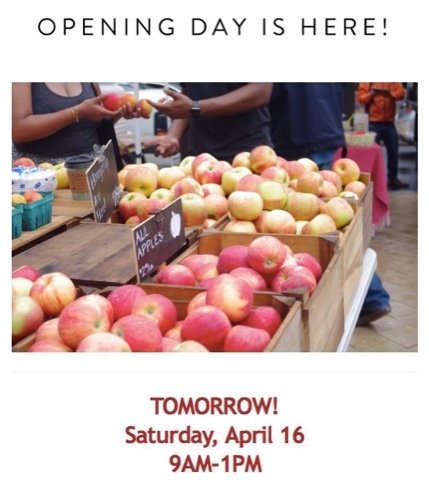 The Columbia Heights Farmers Market is now open for the season! It's that time again! The Columbia Heights Farmers Market has reopened today, and they'll be on the Civic Plaza from 9am-1pm every Saturday. They have all kinds of food (produce, fruit, meat, dairy, eggs, bread and more) plus coffee, snacks, pastries, and a lot of craftspeople. It's a great spot, so check it out. The weekday markets won't start for a few months. 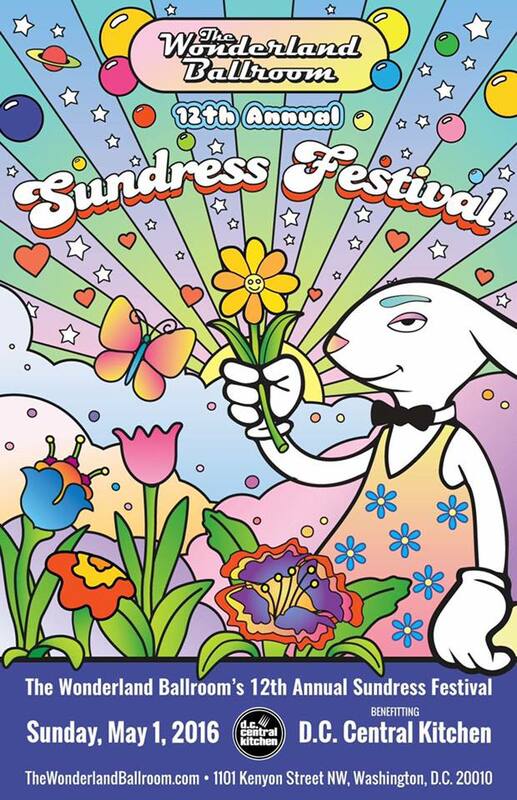 Wonderland's 12th Annual Sundress Festival and block party is May 1! 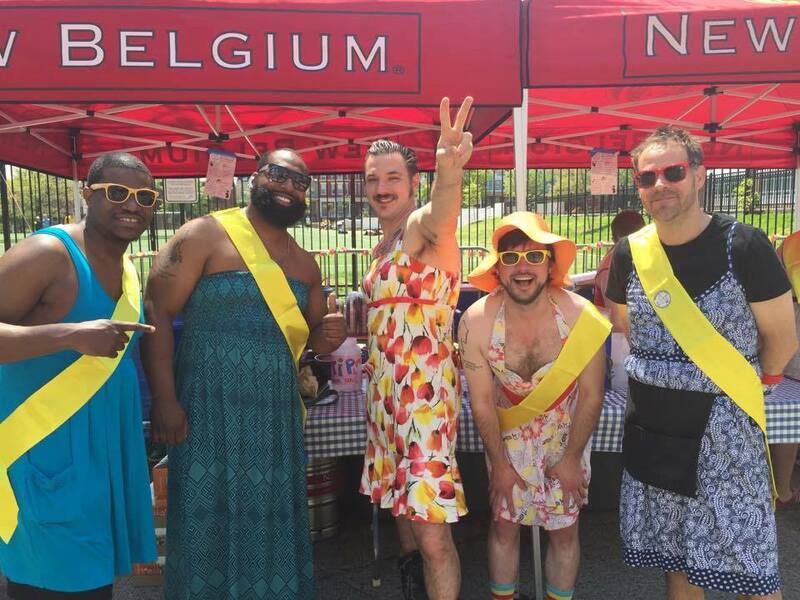 The official beginning of Columbia Heights summer is almost here: Wonderland's Sundress Fest. The fest, in its 12 year, lets anybody who wears a sundress get discounts all day long. They even have extras that you can put on, for men and women. The event has gotten bigger over the years, so they're closing down Kenyon Street between 11th and 13th for it for food trucks, bands, a beer tent and more. And around 4 pm there's the Mr. and Miss Sundress Fest pageant. The event also benefits DC Central Kitchen, so it's a good reason to head down, check out the chest hair and enjoy a few drinks or a nice afternoon on the patio. Here's the Facebook invite for it. It's always a blast. 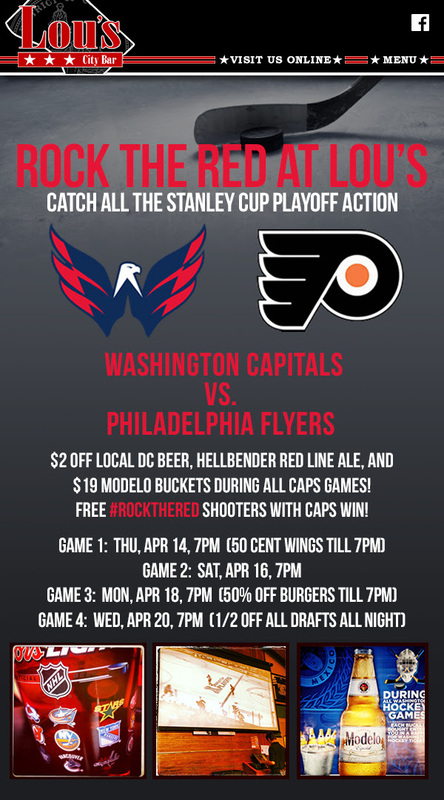 The Washington Capitals are in the NHL playoffs again and Lou's City Bar at 14th and Irving has lots of deals for it: $2 off local beer, cheap Modelo buckets and free shooters if our home team wins. Check out all the details above. Last year I wrote about a fascinating talk at the Mt. Pleasant Library: historians and researchers had been working to understand historic residential segregation in the city. In many places (including DC) real estate developers, bankers and sometimes the government enforced racial segregation by not selling to minorities in some areas, or by only selling to minorities in others. This was called redlining, as in the lines drawn on the map to determine who could live where. 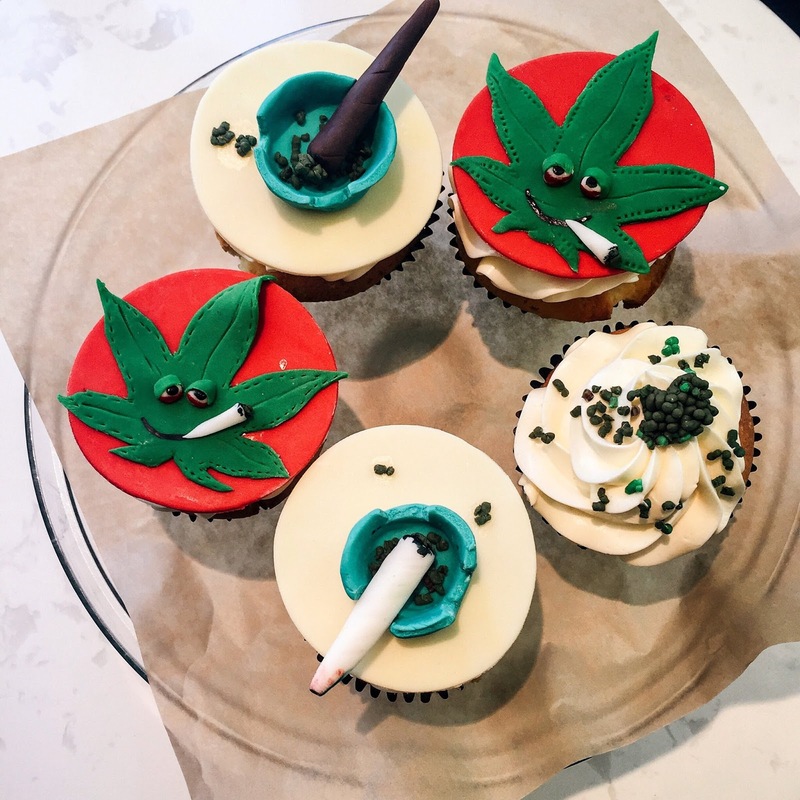 Eventually these practices were outlawed, but the legacy of them still exists. And since that presentation in the summer, the historians working on the project have learned a lot more. There's a talk tonight by them talking about what they've learned, including maps, documents and more. Should be fascinating. The historians also published a "story map" about what they learned, which is worth reading. 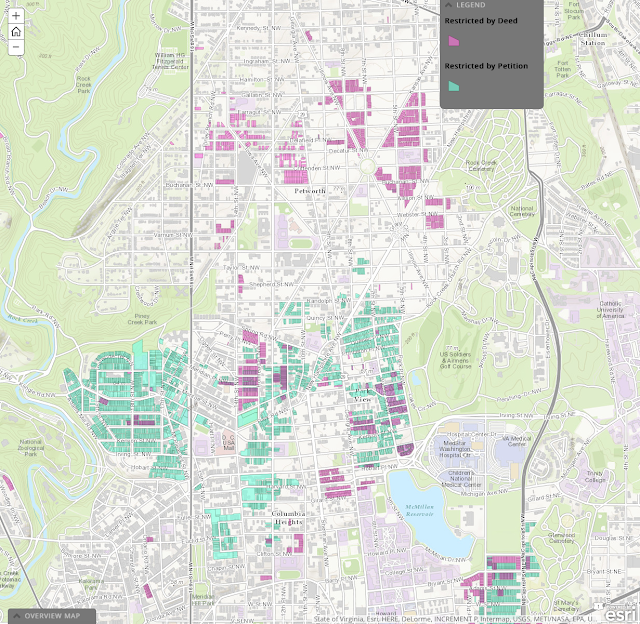 Mapping Segregation in Washington DC is a public history project documenting the historic segregation of DC’s housing and schools, playgrounds, and other public spaces. Last summer we unveiled our first story map, which highlights DC's central role in the struggle to abolish restricted housing nationwide and shows how the city’s racial geography was shaped by segregation. See prologuedc.com/blog/mapping-segregation. Come and find out what we’ve been doing since then. Learn how restricted housing shaped neighborhoods in Ward 4. Maps tell stories words cannot! Mapping Segregation in Washington DC was launched in 2014 by Prologue DC in collaboration with GIS specialist Brian Kraft of JMT Technology Group. It has been funded in part by the DC Preservation League and Humanities DC. 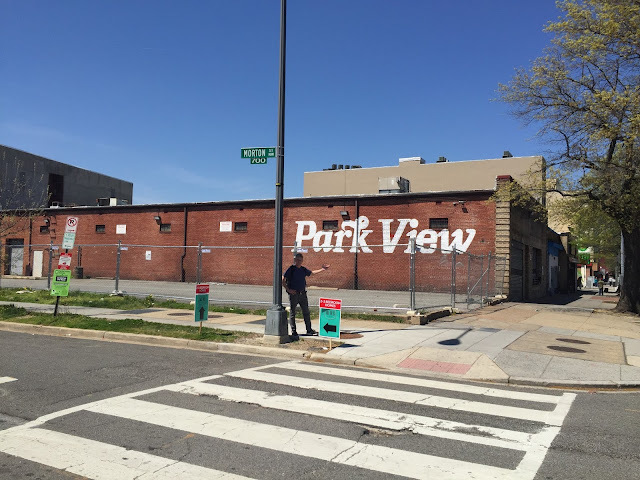 The Columbia Heights Initiative, the group behind the Columbia Heights Day fest and a lot more neat neighborhood events, have put together a neighborhood cleanup and cookout, scheduled for Saturday, Apr. 23 from 10am-noon. Following the cookout, starting around noon, there will be a cookout for participants at the Initiative's office, which is upstairs from Meridian Pint. Sounds like a fun opportunity to help out, meet your neighbors and enjoy some grub. They plan to start holding them monthly, which is a great idea. We love our neighborhood and want to show our streets some love. That's why on Saturday, April 23rd from 10am to 12pm the Columbia Heights Initiative will host it's first Community Clean Up & Cookout! 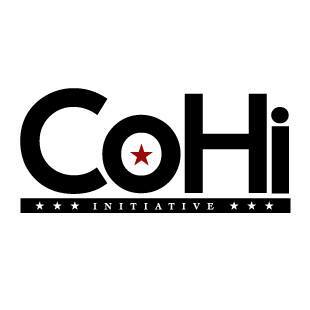 Meet us at 10am at the Columbia Heights Initiative Office at 3400 11th St. NW. Suite 200. From there we will set out to our clean up location(s). We may have two designated clean up areas if we have enough volunteers. We would love if you could bring your own tools to use or consider donating equipment so we can keep cleaning! We need: rakes, shovels, outdoor brooms, trash bags, latex gloves, work gloves, and yard waste bags. Following the clean up meet us back at the office for a cookout. We'll provide hot dogs and chips. Feel free to bring something to share! The first 25 people who sign up (using the link above) and participate will receive a coupon for a free drink at The Coupe! This is the first of many more monthly clean ups and hangouts. Come and join in the good clean fun! The Hambuglar is on the loose in Columbia Heights, and the police want your help catching him. No, seriously. A man snuck into the Five Guys at 14th and Irving by following a delivery man and then hiding, then when the delivery guy left, he got himself a soda then got on the grill and cooked himself up a burger. Then he left. 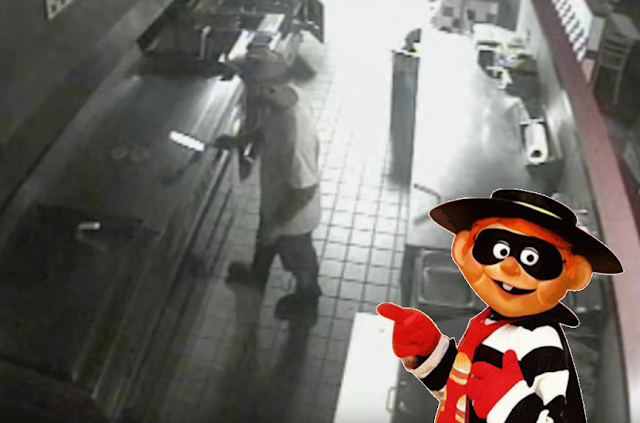 He didn't seem to take any money, and judging by the video released by MPD, he knew his way around the grill. He also seems to be on the phone at one point. I imagine he's saying "Not much, bro. Just making a burger." The burger in question appears to have been a double with cheese, and shockingly he did not cook up some fries too. It's unknown if he ate the free peanuts. The incident happened on March 18 between 3:10 and 5:10am, but was just made public the other day. Pretty amazing. You have to wonder what this guy was thinking -- was he just that hungry? Maybe drunk? Maybe he's a spy for another burger franchise? It doesn't seem like he made any effort to conceal his face from security cameras. If you happen to know this burger bandit, please contact MPD at 202-727-9099. He's wanted for burglary. Hamburglary. The City Paper just came out with their Best of DC readers' poll, and Columbia Heights did pretty well, but not as well as previous years: maybe that speaks to the increase in numbers of neighborhoods that are popular these days. But our neighborhood did finish as a runner-up for best neighborhood to live in. I agree! Food-wise, only Thip Khao, Pho 14 and Wonderland won anything: Thip Khao won best Asian restaurant, which makes sense, it's always packed, Pho 14 won best pho and best Vietnamese and Wonderland won for best singles bar. I would have thought they'd do better at neighborhood bar, or maybe somewhere like DC Reynolds or Looking Glass, although DC Reynolds was the runner-up for happy hour. 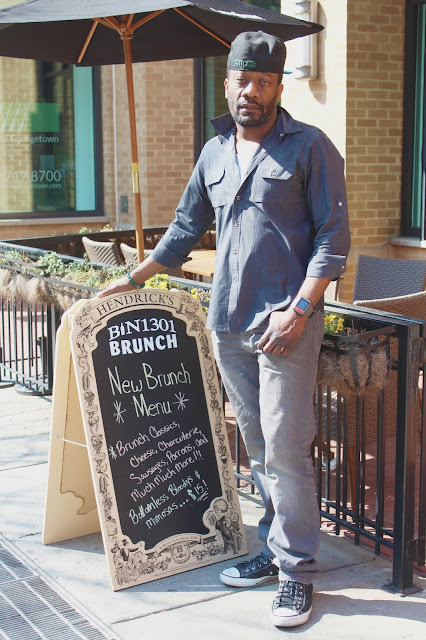 Other local spots earned runner-up nods too: Bad Saint for new restaurant, Pho Viet for pho, Meridian Pint was the runner up on craft beer selection, Beau Thai on Asian restaurant, Twisted Horn on Upshur for new bar and the Raven was runner-up on dive bar. The relatively new Esencias Panameñas on Georgia was the runner-up for Latin Americna food -- I'll have to go. Pete's Apizza was runner-up for slice of pizza, Florida Avenue Grill for soul food, and Lou's City Bar for sports bar. And not totally local, but &pizza won for best downtown lunch, fast casual, late night eats (which is surprising to me) and best restaurant when you pay. It is tasty, but maybe that just speaks to the number of locations. In the arts and culture categories, BloomBars won best arts and culture nonprofit, which is great, but otherwise our area was shut out. For goods and services, the super nice Josephine Butler Parks Center on 15th facing Meridian Hill/Malcolm X Park won for best event venue, and Yoga District and DSW which both have a location in our area, won for best yoga studio and shoe store, respectively. Children's Place was runner-up for kids clothes, Crossfit Petworth on Upshur for crossfit and Annie's Ace for hardware. On the people and places section, there wasn't too much of note, but Columbia Heights did finish as a runner-up for best neighborhood to live in. Wonderland was a runner-up for best place to find a one-night stand, so there's that. Cove was the runner-up for coworking space. And in an upset, The Coupe finished as the runner-up for best place to bang in the bathroom -- last year, they were the champ. Maybe that notoriety spelled their demise as the premier location. I think the Park at Fourteenth, a club downtown which looks like a condo building, must have stuffed the ballot box somehow, they won a ton of categories: hip-hop night, wings, alcoholic punch, happy hour, and night club. Seems fishy. Or maybe that place is just huge. As for the staff picks, there are a zillion and they're not in an easily readable way online, so I'll need to peruse those more. Expect another post for that. Are you like Leonardo DiCaprio? No, not an Oscar winner, but the owner of a dad bod? Acre 121 is hosting a hilarious fundraiser this Saturday for the Leukemia and Lymphoma Society in the form of a Dad Bod Pageant. You can enter or just watch and enjoy. It's $10 to get in (with all the money going to the Society) and you'll also get discounts on drinks and food like $5 for select drafts, wine and well drinks. What is a dad bod you may ask? It's a male body type that is best described as "softly round"; a nice balance between working out and keeping a beer gut. If you'd like to participate as a pageant contestant, email neal.mcdonald.fsu@gmail.com. The winner gets a three month membership to Vida Fitness. 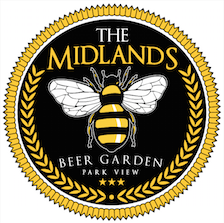 I've been pretty excited for the Midlands, the new beer garden from the Kangaroo Boxing Club coming to Georgia Avenue -- I wrote about it a few times in the past. They'll be in the Park View Shopping Center at 3333 Georgia (also where Walls of Books and the post office is) and just launched a fundraiser to help pay for buildout and such, and backers will get swag -- glasses, discounts, t-shirts and even a keg party if you donate a lot. They plan to have about 30 taps of beer, plus wine, sandwiches and the like. They've already got $1000 out of their goal for $15,000, so it looks like people are excited. Summer 2016 is right around the corner and The Midlands Beer Garden is few short months away from enjoying DC's summer nights under the stars with a cold beer, glass of wine, sandwiches and friends. As we navigate DC's permitting process and prepare for construction we thought we'd try to raise a little extra capital to help our build-out costs and at the same time offer some fun rewards to those who are as excited as we are to get this party started! So, take a look! From glassware and Midlands gear to keg parties and even the opportunity to design your own bathroom! There is something in there for everyone. Thanks for taking the time to visit and we can't wait for summertime! Please join our Facebook page for the most current updates! Saturday April 9th from 12-2: Pleasant Plains Civic Association Meeting at the Banneker Rec Center, 2500 Georgia Avenue NW: PEPCO Updates, Dedicated bus lanes on Georgia Ave, and project updates are on the agenda. Also, discounted tickets to the “In Honor Of” Gala May 24th will be available for $25, and two tickets will be raffled at this meeting. Monday April 11th at 7:00pm: Georgia Avenue Community Development Task Force meeting at 2616 Georgia Avenue NW. 965 Florida Ave Updates, Main Street Updates, and the Bruce Monroe Surplus resolution is on the agenda. See why hundreds in DC (and beyond) are discussing the new video for Tarica June's politically-charged song "But Anyway". I've been meaning to post this for a while: Tarica June, a local rapper, recently released a video for her song "But Anyway" that was filmed in our neighborhood. It's a pretty political song, focusing on gentrification, juvenile justice, jobs for youth, local politicians and other issues. 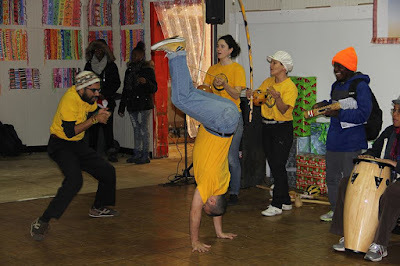 And it shows local places all over the area: the Petworth Metro, Howard U., Upshur Rec Center, the mural on Kenyon Street, Meridian Hill/Malcolm X Park, Highlands Cafe in Brightwood, the 7th Street skate park and a lot more. 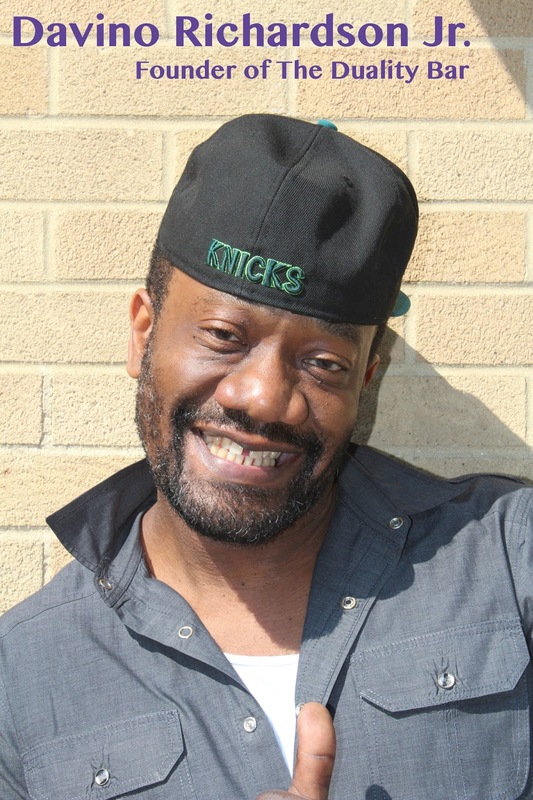 The song, which features samples from the DNA remix of Suzanne Vega's "Tom's Diner" and Spandau Ballet's "True," is from her 2014 mixtape S.O.C. Mixtape Vol. 1. It's definitely worth a watch and a listen. It's on Youtube too, but I think the Facebook video has better sound quality. This is the third in our Meet Your Neighbors series by Alex Rego. Check out the first two here. Meet Davino. For years he has led a split life: day and night, uppers and downers, barista and bartender. But now he is working to bring his two passions together with his new concept Duality Bar, an espresso and whiskey pairing experience. 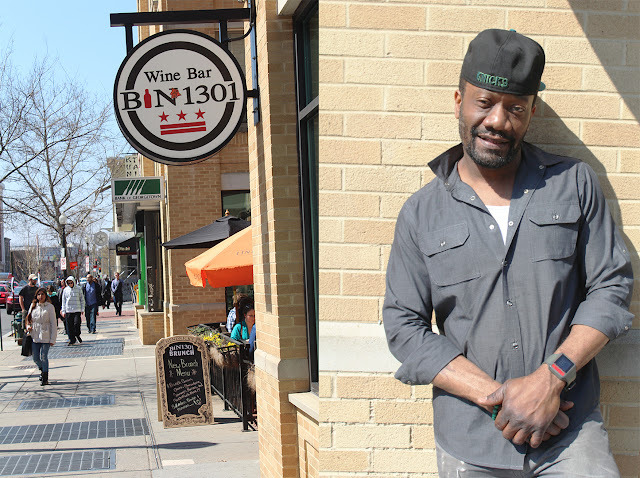 Davino has been hosting Duality pop-ups around the city for a few months and is settling down on U Street's Bin 1301. 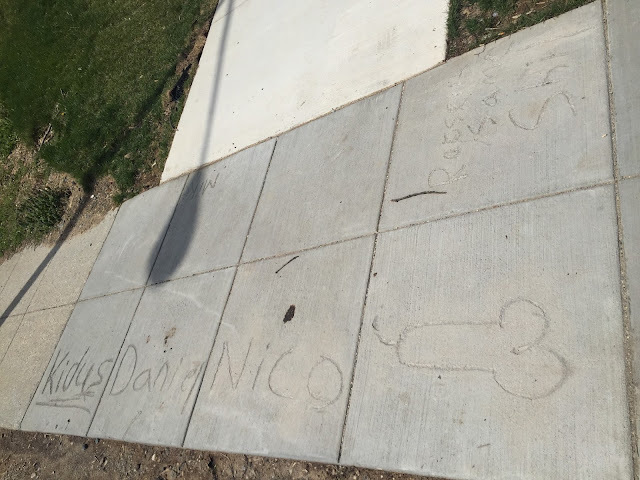 While Davino is raising his two daughters Blesyn and Faith in Maryland, he spends the rest of his time here in the neighborhood. Davino has been working in the U Street corridor for almost a decade at various restaurants, cafes, and bars. From Busboys and Poets to wine bar Bin 1301, Davino used all of his experiences to craft his concept for The Duality Bar. The Third Wave of coffee brought us high-quality beans and fair trade and revived old brewing methods like the pour-over. Davino’s idea of a new kind of coffee experience will bring local roasted Brazilian espresso and Colombian beans to a French press and pair them with whiskeys and bourbons from around the world. 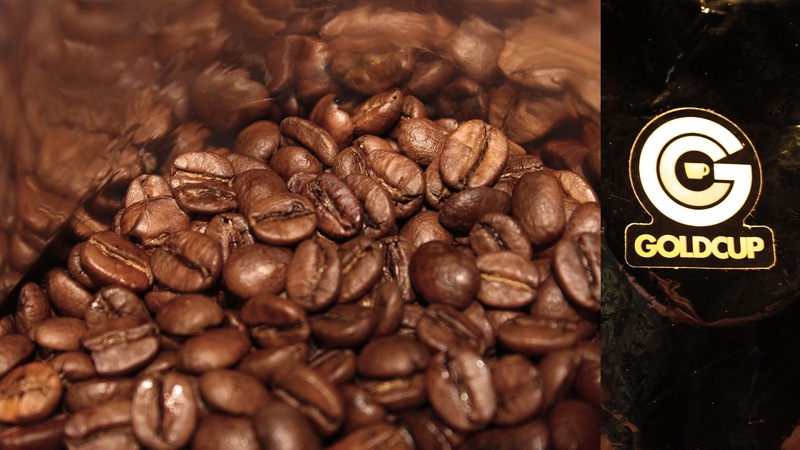 The coffee is from DC Gold Cup, owned by DC native Jeremy Murray and roasted in Hyattsville. 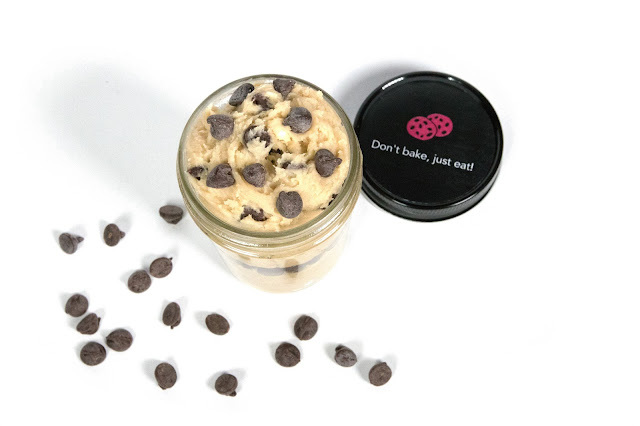 The Duality Bar is all about keeping it local; Davino plans to have baked goods from Firehook Bakery of Dupont Circle including scones, muffins, and croissant sandwiches. In addition to the pairings menu, Duality Bar will offer sensibly priced lattes, cocktails, and combo specials. The Duality Bar will be setting up shop in Bin 1301 from 6am to 3pm Monday through Friday and taking over during brunch hours. With Davino’s chill vibe, plenty of patio seating, and wifi, Duality aims to satisfy both the lonely blogger and the business brunchers. Davino hopes to give back to the community and the people that have supported and inspired him in this last decade. By starting his business here, he hopes to bring more jobs to the area and to shine a light on the diversity of the community. Duality Bar opened this Friday, April 1st at 6 am. To find out more about Davino and the Duality Bar connect with him via Facebook, Instagram or Twitter, @thedualitybar.